When quality counts consider this well made fine leather dog lead in random color combinations. 5 lovely flowers with a nickel rivet center will adorn this leash. The Penelope flowers have hand-painted edges for a truly finished look. Please select the length/width of your lead and the color of the leather lead you would like. 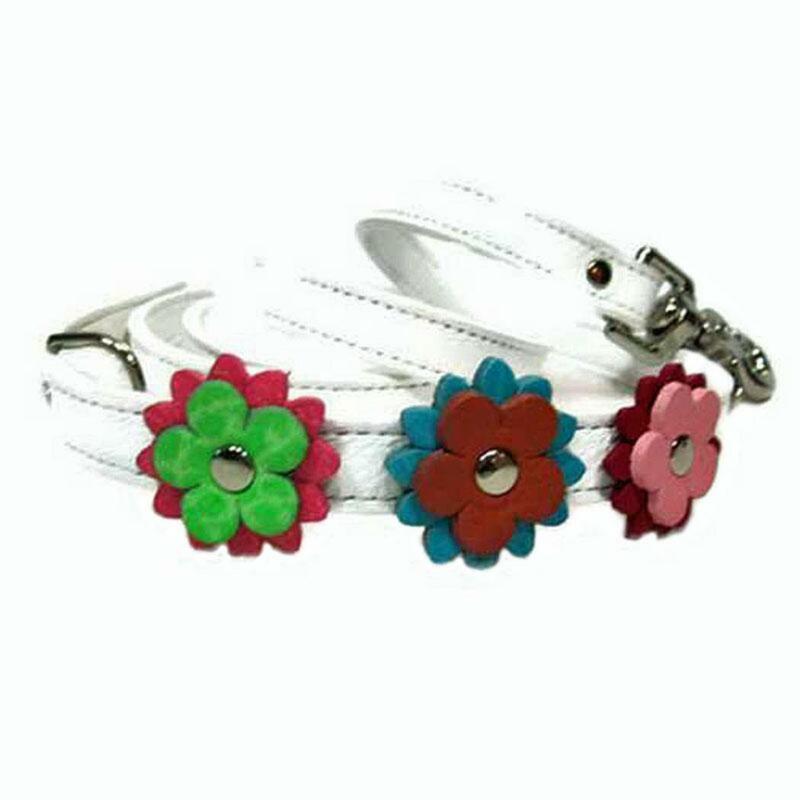 We will select the random multi-mix of flowers to place on your Penelope leash.